Functional foods are still a relatively new concept over the last few decades, with their rise in the last ten years having been especially strong. A functional food is considered by many to be partway between a medicine and a food. The idea is that the food is manufactured to provide a way to promote better health or prevent disease. By taking a relatively ordinary food, we are then giving it a quality that is meant to benefit our health. This could be done by adding a specific nutrient or by adding in live cultures that provide health benefits. The area of functional foods has mostly come about to satisfy the growing number of people who have health issues and want to find an easier, more convenient way to enhance their health. Most westernised countries such as Britain and the United States have laws in place to govern how a product can be labelled. A food that is considered a functional one and makes a health claim must have scientific evidence to back up the claim. Even the wording of the label is very precise. For example, a food can't simply claim that it prevents cancer. It can, however, say that it is high in fibre and that fibre has been shown to reduce the incidence of certain cancers. The laws all exist to make sure that consumers are not misled and that claims are accurate and verifiable. Most people are now probably familiar with probiotics. These live bacterial cultures are thought to enhance digestion. Their addition to yogurts is meant to help both digestion and immunity of the gastrointestinal tract. You should ideally still read labels as yogurts that are high in sugar can be counterintuitive to healthy digestion. 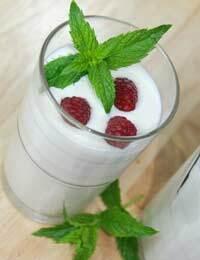 Aim for a yogurt that is lower in fat and naturally sweetened, plus lists bacterial cultures as an ingredient. Prebiotics are still a bit of a confusing concept for some of us and a relatively new one as well. While most people now are aware that probiotics are the 'good' bacteria that promote healthy digestion, prebiotics continue to be a complicated concept. Prebiotics help to sustain probiotics. It means that these good bacteria can increase in numbers while also resisting pathogens so they can do their job of helping our digestion. One common kind of prebiotic is a soluble dietary fibre. Prebiotics occur naturally in foods but are now added to a wide array of manufactured foods. These include cereals, breads and many other commonly consumed foods. As we learn more about prebiotics, they will likely be showing up in even more foods in the future. Functional cereals and snack bars are fast becoming a big seller in the area of functional foods. One reason for this may be that our lives are becoming busier and more hectic. Many families now have two parents working and getting healthier foods that a person can either eat quickly or take with them has become important. These kinds of foods will often include added fibre or omega-3 fatty acids. They may make claims about enhancing heart health or lowering cholesterol. Functional beverages are yet another area that has become popular among consumers. They might be ones that contain probiotics for digestive health. Others are fortified to work in a manner similar to a multivitamin due to being fortified with a wide range of vitamins and minerals. These can be particularly helpful to those who are underweight. suffering from gastrointestinal diseases or simply need a boost to help balance out a poor diet. A newer contender to the functional food market is energy drinks, which might contain caffeine or other stimulants. Functional foods are perhaps a particularly good choice for those who normally take supplements to support a diet that isn't well-balanced and healthy enough to sustain good health. Obviously, the best way to get enough nutrients is to eat a wide variety of healthy foods. Functional foods do tend to be highly processed but as with anything, you can find healthier versions. Some of the functional foods in the natural health industry are organic although they tend to be priced higher than their non-organic counterparts. For most people, functional foods can be a healthy addition provided they read labels and still aim for a healthy diet otherwise.